Fathom reports that the repair work on the malfunctioning fire screens aboard Adonia has been completed. The US Coast Guard has inspected it and certified the ship to sail. Therefore, on Sunday, Carnival's social impact brand, Fathom, will enter service with their inaugural voyage from Miami to the Dominican Republic. Photo courtesy of Fathom Travel. All rights reserved. May not be copied or used without express permission. Costa said this morning they would deploy th 56,800-gross ton Costa neoRomantica to China year round beginning in April 2017, making their fifth ship in the market. There are currently three Costa ships in China. The fourth, Costa Fortuna, is currently en route and will arrive in Shanghai on April 22 (2016). 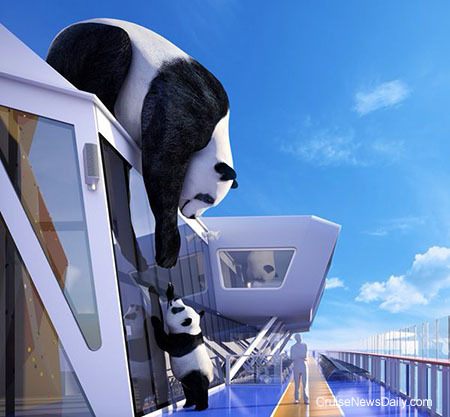 The complete story appeared in the April 15 edition of Cruise News Daily. When Crystal Serenity sets off on its 32-day Northwest Passage voyage this August, it won’t be alone. 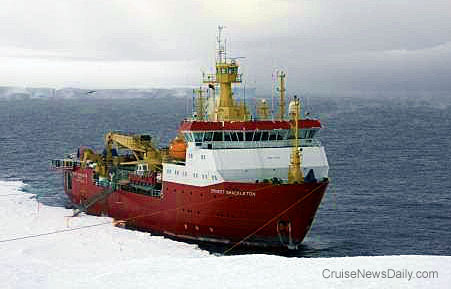 The line announced today they have entered into a charter agreement with Tactical Marine Solutions of Victoria, Canada and British Antarctic Survey (BAS) headquartered in Cambridge, UK to have the icebreaker RRS Ernest Shackleton accompany the cruise ship for an added measure of safety. The expedition voyage sails from Anchorage to New York on August 16. Details appeared in the April 15 edition of Cruise News Daily. Photo courtesy of British Antarctic Survey. All rights reserved. May not be copied or used without express permission. Fathom tells us they are expecting Adonia to sail as scheduled on this week’s cruise on Sunday to the Dominican Republic. The Coast Guard prevented the ship from sailing on its first cruise for Fathom last Sunday when there were several safety deficiencies discovered. They apparently have identified the problem with the fire screens, and obtained the necessary parts. Technicians are working around the clock to complete the repairs. The US Coast Guard will still have to approve the work before the ship sails. Hamburg, April 15, 2016 – Effective today, Lars Ljoen (46) will take over the position of Executive Vice President and Managing Director at Carnival Maritime, the marine service unit of the Costa Group in Hamburg. Besides further advancing the unit’s performance, he will be responsible for supervising the departments Fleet Governance, Cruise Preparation & Projects, Cruise Execution as well as Continuous Improvement and the Fleet Operations Center. The native Norwegian shows a long track record in marine operations: He began his career on supply vessels and shuttle tankers in the North Sea offshore industry. In 1997, he joined Royal Caribbean Cruises Ltd. where he worked on the cruise vessels and ashore at the headquarters in Miami, managing fleet-wide navigation issues, maritime training and deck operations. During his eight years of employment here, he became Director of Marine Operations. In 2005, Ljoen joined Ceres Marine Terminals (NYK Ports) in Miami as Vice President of Business Development. Almost ten years later he headed up the development of business strategies for cruise services, roll-on/roll-off business and general cargo for the North American port activities of NYK Line. Finally in 2015, Ljoen joined Carnival Maritime, leading the Cruise Preparation & Projects department as Senior Vice President. In this position he was responsible for port operations, dry dockings, deck & engine human resources, innovations and technical purchasing. As Executive Vice President, Ljoen will directly report to Michael Thamm, CEO of the Costa Group. He takes over his new position from Jens Lassen, until now Executive Vice President and Managing Director of Carnival Maritime, who will continue to assist Ljoen in an advisory capacity. "I am happy to welcome Lars in our management team. With his extensive experiences in marine operations and his passionate leadership style, Lars will strengthen our performance as a Center of Excellence for the fleet," Thamm comments. "I am very excited about this new opportunity, as I feel it allows me to shape the future of cruising. My fantastic team and I will put our best efforts into reaching the ambitious goals of Carnival Maritime: Having the highest efficiency, lowest energy consumption and lowest repair and maintenance costs in the industry," Ljoen adds. 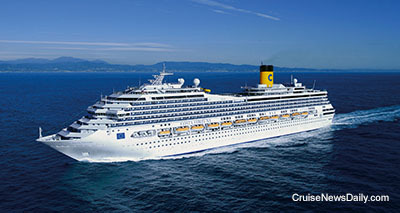 Carnival Maritime is the marine service unit for the Costa Group, Europe’s leading Cruise Company. This unit bundles competences and best practices in the area of marine operations to achieve the highest security standards in the cruise industry for the fleet of the Costa Group, which currently includes 26 cruise ships of the brands Costa Crociere, Costa Asia and AIDA Cruises. Carnival Maritime combines the company’s expertise in the areas of marine, technology, health, environmental protection and security for the Costa Group in Hamburg. Together with the departments of the service unit, the Fleet Operations Center (FOC) monitors all nautical and technical aspects of the ships. The aim is to establish a "zero incident strategy" in risk management. The unit was founded in 2015, and employs 150 specialists. Carnival Corp's Costa brand said this morning they deploy Costa neoRomantica to China year round beginning in April 2017. It will be the line's fifth ship in the market. Details will follow in tonight's edition of Cruise News Daily. Is Juneau Spending Too Much of Your Money? 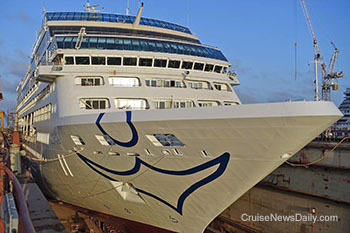 The complete story appeared in the April 14 edition of Cruise News Daily. Carnival Corp has increased their quarterly dividend by 17%. The line declared a quarterly dividend today of 35 cents per share. Details appeared in the April 14 edition of Cruise News Daily. The Coast Guard still hasn’t given Adonia the green light to sail, but many Cuban-Americans in Miami seem to be trying to stop Fathom from even operating the cruises to Cuba. Aside from public protests, the opposition is taking two approaches in the courts to stop the cruises. Carnival Vista has completed its sea trials in the Adriatic and has returned to the yard in northern Italy where Fincantieri workers are doing the last of the finishing work. The 133,500-ton ship will set sail on its maiden voyage from Trieste on May 1. Princess Cruises, which offers more cruises to New Zealand than any other cruise line, has released a time-lapse video of a 13-night cruise around New Zealand by Golden Princess. During the speeded-up voyage, Golden Princess visits a total of six different ports on both the north and south islands. Disney has their loyal fans who sail with them exclusively time after time. They keep them coming back by continuing the Disney quality for which the company is known in all their hospitality businesses, but also by constantly offering something different. Sometimes its sailing to a new area that they haven’t sailed to for a couple of years - and may not again or a couple - and other times it’s going back to the same place but throwing in a couple of one-off itineraries which have different ports of call, or maybe even some brand-new ports. The Coast Guard released information today about why they won’t allow Adonia to sail, causing Fathom to cancel their first cruise to the Dominican Republic, and this isn’t just a technicality. Royal Caribbean announced today that Ovation of the Seas will be officially named by Chinese actress Fan Bingbing in Tianjin on June 24. In other Ovation news, the Quantum-class has become known for having a large, whimsical piece of artwork on the upper deck, and today, Ovation had hers installed in Southampton. Well, Carnival’s newest brand, Fathom, is off to a running stop. The new line canceled their first cruise today after running into safety issues. 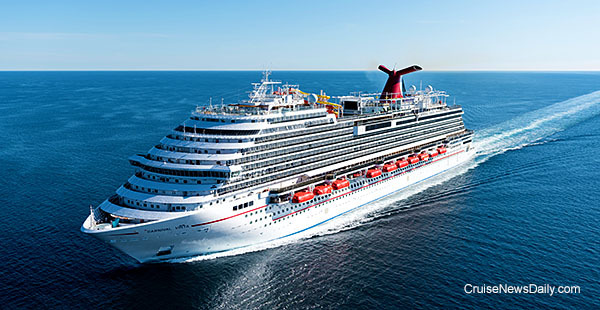 The new Carnival brand’s first cruise to the Dominican Republic was set to sail yesterday, with another scheduled for next week, and then the following week, they begin alternating between the DR and their much-promoted Cuba cruises. The US basketball teams will be living in style in Rio this summer aboard Silversea's Silver Cloud. 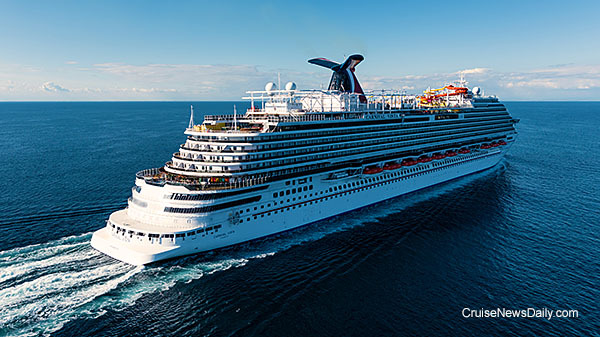 Thanks to a new multi-year agreement, Carnival is the Official Cruise Line of the NFL's Houston Texans.